Very rare. May not be present most years. 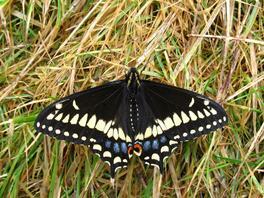 There is one recent record (2011) in the Maritimes Butterfly Atlas, from Victoria County. 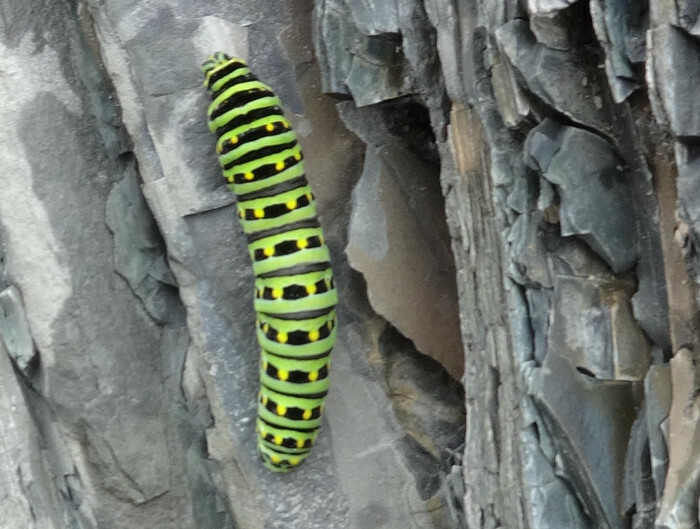 The "General Status Ranks of Wild Species in Nova Scotia" list this species' status as Yellow: Sensitive to human activities or natural events. First two weeks of July. Very few records. Coastal areas, in the presence of the larval foodplant. 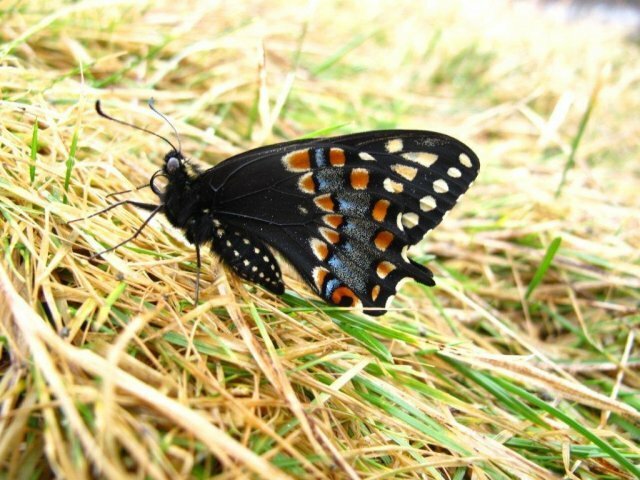 Has been found feeding on Scotch Lovage (Ligusticum scothicum) in Nova Scotia. Also reported to feed on Angelica (Angelica atropurpurea) and cow-parsnip (Heracleum spp.). 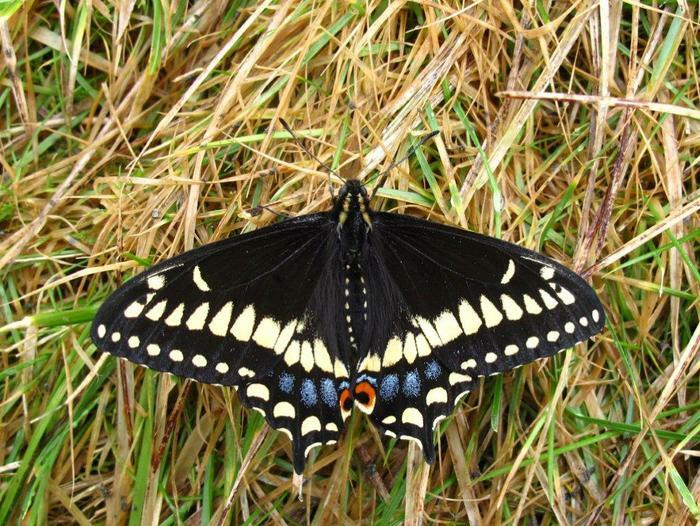 This species is similar to the Black Swallowtail, but has much shorter "tails". It is also very much less likely to be seen here. This species is found only in the Atlantic Provinces and eastern Quebec. It is not known whether stable populations exist in Nova Scotia. It may be that this province is occasionally colonized by strays from Newfoundland. It was first reported from Kidston's Island near Baddeck, in 1936.